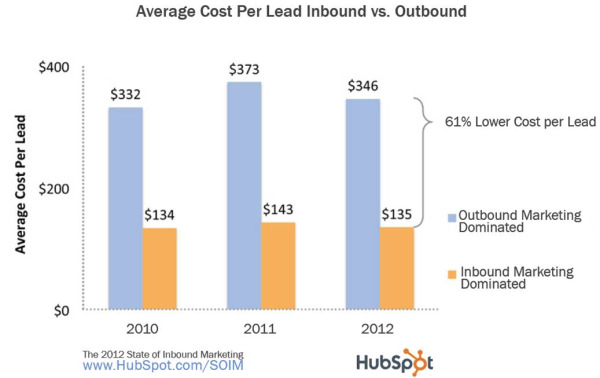 HubSpot's 2012 State of Inbound Marketing Report reveals fascinating data around marketers' lead generation costs and how various lead sources compare to one another. The study, which is based on a survey conducted in January 2012 of 972 marketing professionals, found that inbound marketing-dominated organizations experience a 61% lower cost per lead than organizations that predominately leverage outbound marketing. 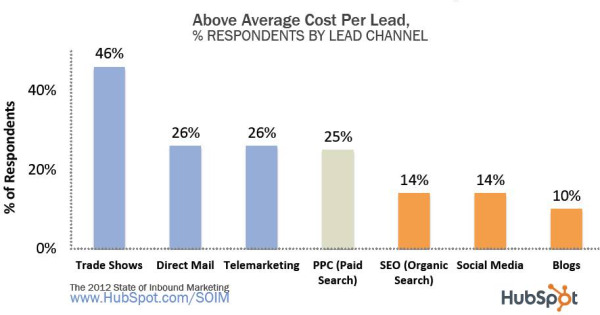 The average cost per lead for outbound-dominated businesses was $346. 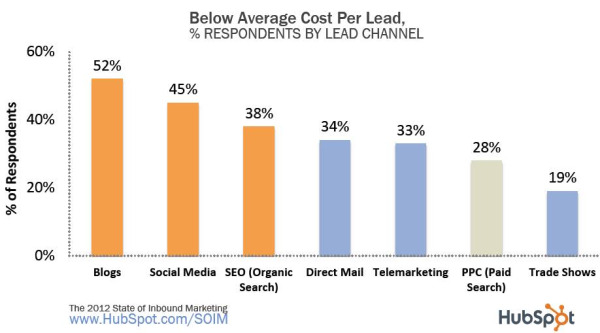 In comparison, the average cost per lead for businesses leveraging primarily inbound techniques was $135. Take a look at the data in more detail below. Inbound marketing techniques include SEO, blogging, and social media. The focus of inbound marketing is to get found by relevant prospects who are using the Internet to learn about products and services. Outbound marketing techniques include direct mail, trade shows, and telemarketing. Outbound methods are a more traditional approach to marketing wherein businesses push their messages to prospects, as opposed to attracting prospects to them. Blogs, social media and organic search maintained the top slots as least expensive. Trade shows, direct mail, and telemarketing were most frequently ranked as more expensive. These findings don’t necessarily mean that every business should entirely eliminate outbound marketing methods. Rather, it’s important to strike the right balance for your own business, and determine which channels actually deliver the highest ROI. 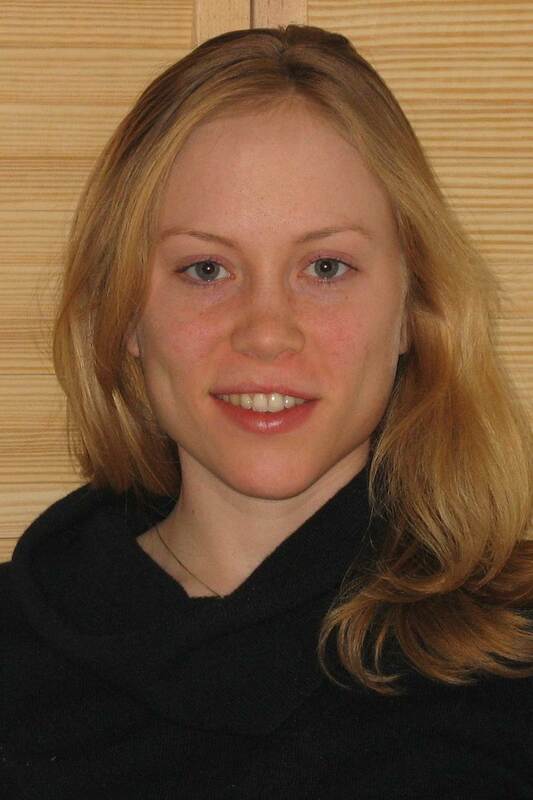 In addition, some of your target segments may be more or less receptive to a certain channel. The easiest way to track the performance of each channel is with a closed-loop marketing system, which tracks leads from their initial channel, through their first conversion, until they become a customer.